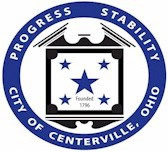 Project plans may be reviewed at the Centerville Municipal Offices, 100 West Spring Valley Road. To review Rodney’s presentation Click Here and staff report Click Here. Click here for the project conditions as recommended by the Planning Commission at their March 25 meeting. Click here for Conceptual Design.